[fusion_text]Israel’s agricultural industry is ripening for the beginning of medical cannabis export, with the expected passage of medical export legislation by the end of the year. The timing is particularly fruitful for growers who are interested in succeeding in a new venture that is still in its infancy. The rewards are also high: Israel’s Health and Finance ministries have assessed that international exports would generate $4 billion in revenues annually. Getting started in the cannabis industry involves commitment and some planning, just like with any other new venture. While recreational use of marijuana remains illegal in Israel, medical cannabis has been legal since the 1990s. Currently, cannabis is available out of one main hospital, but under new regulations, it will become available in pharmacies throughout the country. Staying on top of regulation changes and developments is a must. Cannabis, as with any plant, is vulnerable to pests, weather, and drought. This means calculating the pros and cons of investing in an indoor facility, versus dealing with elements of nature with an outdoor facility. Outdoor growing regulations may develop over the first wave of new farms approved by Israeli legislation. Monitoring the pH levels of your soil is also necessary, as cannabis plants prefer pH environments of 5.9 to 6.5. Commercial fertilizers tend to make soil more acidic. Optimal day temperatures for cannabis plants are 24 to 30 degrees Celsius (75 to 86 degrees Fahrenheit), making Israel’s warmer climate, quite ideal during the daytime. Do not allow temperatures to drop below 13 degrees Celsius, as this causes the plant to go into shock. Cannabis roots need a lot of space and tend to expand quickly, so choose a pot that allows at least 5 gallons per plant. The bigger the receptacle, the bigger the yield. 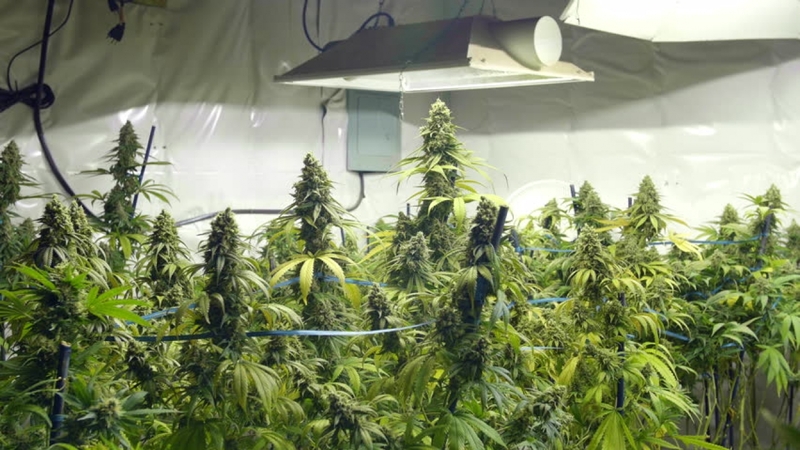 Cannabis plants require both dark and light photoperiods (artificial light: 16-24 hours of light, 0-8 hours of darkness), so lights need a timer to create intervals. The plant can handle both high pressure sodium and metal halide lamps, as studies have shown benefits for metal halide during the vegetative phase of growth, and high pressure sodium for the reproductive phase. One cannabis plant can use up to 22.7 liters of water per day. To obtain the maximum efficiency and cost saving you can achieve, drip irrigation provides a neat solution for growers. Controlled irrigation directly onto the surface or root zone provides your crops with all the nutrients and water they need to grow. Research has shown that drip irrigation saves you about 50% of the water you’d have spent using a sprinkler, plus you reduce the use of fertilizers significantly. What does this mean to you? Elevated chances for increased revenue and crop yields. An energy efficient greenhouse can cut down the costs of growing by half. Studies have shown that sustainable building is not only environmentally sound, but also beneficial for profit margins, even with large-scale facilities.